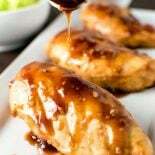 A sweet honey balsamic marinade that makes chicken unbelievably tender and juicy. 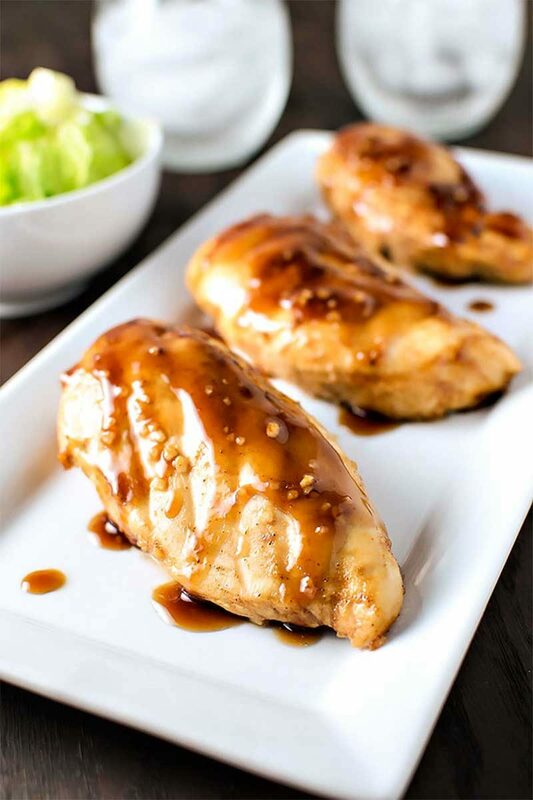 Marinates in half the time for twice the flavor! 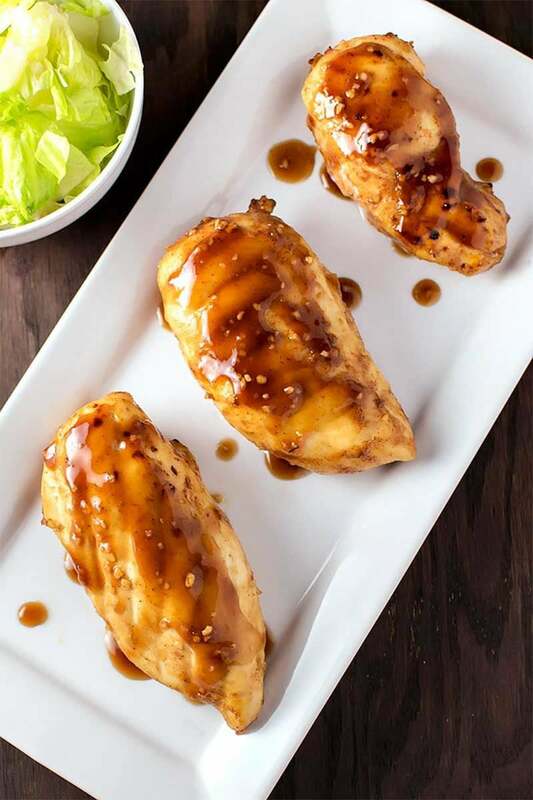 With summer on the way, I know my future will hold a lot of grilling dishes like this one with balsamic chicken marinade – although, technically, we don’t own a grill. What we do own is a NuWave Oven, which we use for all our grilling needs, and it certainly gets the job done – although we have to do without those pretty dark grill lines. But then again, being able to get grill-like results in the comfort of my kitchen and being able to clean my “grill” in the dishwasher? We typically use our Nuwave Oven for steaks, but every now and then I get adventurous and try something on the other ends of the meat spectrum. I’ve mentioned before that I’m a bit of a chicken breast fanatic, buying in bulk at Costco and freezing them until the mood strikes me, and yesterday I just happened to be in one of those moods. I was absolutely craving chicken breast. And not only that, but grilled chicken breast. It was probably all that “Memorial Day” talk that’s been going around. So when I started to research different types of marinades, one ingredient practically jumped off the screen and slapped me in the face: balsamic vinegar. I typically only have balsamic vinegar with deep fried seafood (thanks to so many trips to Captain D’s as a kid) but I still keep a bottle of it on hand in our kitchen, just in case, even though I hardly ever make the “right” kind of deep fried fish to use it with. The time had finally come to branch out and find new uses for my beloved balsamic! Once I hunted down a recipe that met my requirements (one that must include balsamic vinegar, a short marinade time, and all the ingredients I already have in my kitchen) I got to work. And by “got to work” I mean I thawed the chicken, mixed some ingredients, and then watched the first few episodes of Grace and Frankie on Netflix while I waited for the marinade to do its magic. Seriously, this almost felt like cheating. Sometimes I spend so much time making elaborate meals that I forget just how easy grilling is, especially when you take out all the complications of an “actual” grill. I could get used to dinners like this every night. What I loved most about this marinade was not only the taste but also the effect that the balsamic vinegar had on the chicken. The chicken was extremely tender and juicy, so much so that I think it’s probably the best texture I’ve ever had when cooking chicken. Far too often chicken can be tough and dried out, even after marinating overnight. I was lucky enough to be able to marinate the chicken for close to 4 hours, which isn’t even that long on the marinating scale, but I still think it made all the difference in the end result. So if you have the time, I highly recommend marinating for at least few hours. You will not regret it. But on the other hand, if you’re pressed for time (or don’t have Netflix to help ease the wait) then a shorter marinate is still worth it, if only for the taste alone. 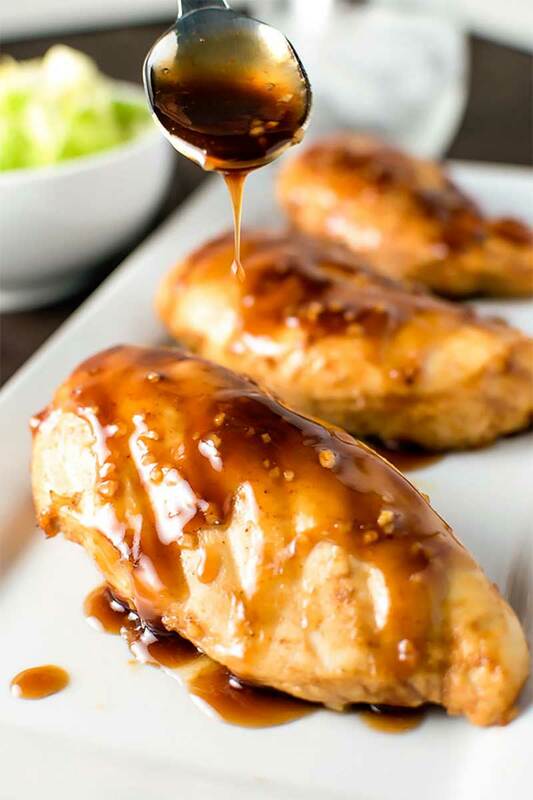 I’m already trying to think of what else I can soak in this honey balsamic sauce. Or, more accurately, what I wouldn’t soak in it. Welcome back, balsamic vinegar. Oh, how I’ve missed you. As mentioned in the text above, The Husband and I don’t own a standard grill, so I used our Nuwave Oven to cook this chicken. You might not get the charcoal grill lines of a standard grill, but our Nuwave Oven has always cooked meat evenly, thoroughly, and juicy. However, if you do want grill lines but still don’t want to invest in an outdoor grill, I’ve also used the Nuwave Cast Iron Grill Top for our Nuwave Induction Cooktop. Both are great options for all types of cooking! If you’re curious what else you can do with a Nuwave grill, be sure to check out this recipe for Grilled BBQ Pork Chops with Pineapple Salsa! 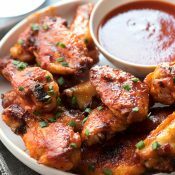 And if you love recipes with a tasty marinade, don’t miss Honey Garlic Shrimp and Broccoli, Teriyaki Chicken Kabobs, and Sticky Honey Sriracha Chicken Drumsticks. Place olive oil, salt, black pepper, paprika, and onion powder in a Ziploc bag (gallon sized). Add chicken and toss to coat, covering chicken with spices and oil. Set bag nearby. Shake bag with chicken so that the meat is covered in the marinade. Seal bag and refrigerate for at least 30 minutes or up to 4 hours. Also store sealed marinade in the refrigerator until ready to use. When ready, remove chicken from ziplock bag. Discard bag and marinade that the chicken soaked in. Grill your chicken per typical cook time, usually 3-5 minutes per side (or until no longer pink inside). 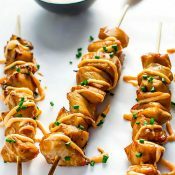 Once chicken is cooked, drizzle or brush remaining marinade on top. We bought a stove top Lodge cast iron grill/griddle as well as one of their grill skillets several years ago so we can grill year round. With our daily temps being in triple digits the last thing we want to do is stand next to a fire!! This recipe is delicious. I didnt think there would be enough marinade but it was perfect. My family all asked for extra servings even my little guy (3 year old). Thanks so much for sharing this new family favorite. 1. I will be using chicken tenderloins instead of breasts. I will also be increasing the recipe 6X!! Should I plan to increase ALL the ingredients this much? 2. Instead of using the Ziploc bags to marinade, I plan to marinade the chicken in large pans. Should that be okay? 3. 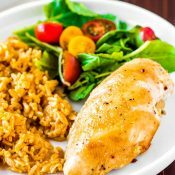 To marinade the chicken, can this be done overnight or will the balsamic vinegar to d something (chemically) to the chicken to hurt the texture or taste? I think I heard this somewhere! 4. Instead of grilling the pieces on the BBQ, I plan to bake them in the oven. Should this be okay? 350 for 30 minutes?? 5. Any other suggestions in order to make this main dish a complete success, especially while multiplying the recipe as I plan to? This chicken was amazing! I marinated for about 4 hours and I loved how much flavor the chicken had. Great recipe! This looks delish! What sides do y’all recommend?